The squacco heron is a migrant, wintering in Kenya. This is a stocky species with a short neck, short thick bill and buff-brown back. In summer, adults have long neck feathers. Its appearance is transformed in flight, when it looks very white due to the colour of the wings. 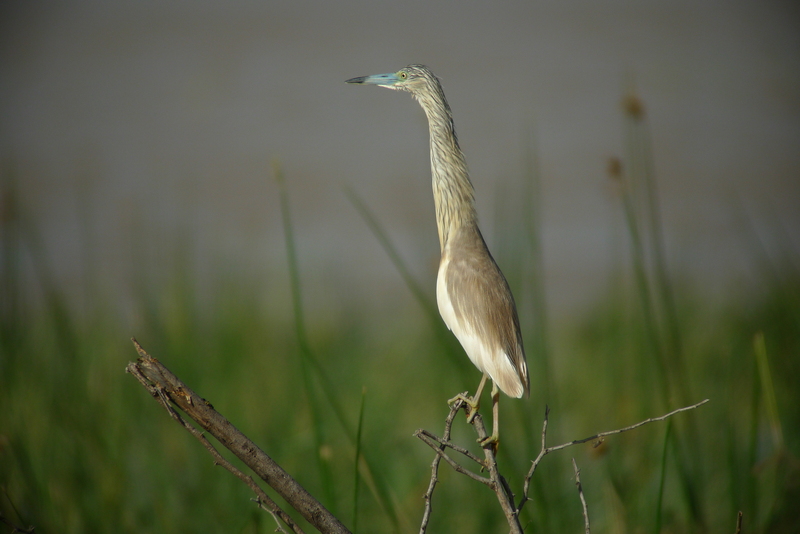 The squacco heron’s breeding plumage is recognized by sky blue bill as clearly seen in the photo above with a black tip. It prefers marshy wetlands as a breeding site. The birds nest in small colonies, often with other wading birds, usually on platforms of sticks in trees or shrubs. This species being a terrestrial bird, is mostly seen in lakes, river valleys, swamps and other permanent or temporary freshwater wetlands in Kenya Rift Valley, Lake Victoria rice fields, Central highland ponds and on both north east and south cost of Kenya. African Hawk Eagle (Aquila spilogaster) are large birds of Prey that occur naturally in Kenya, where they inhabit wooded hills.In Kenya they mostly seen in birding hot spot like Masai Mara,Tsavo West and East,Nairobi National Park,Hell’s Gate, and Lake Nakuru National Park. African Hawk Eagles are large eagles that measure about 55 – 65cm in length.The plumage above is blackish. Below they are mostly white, heavily streaked with black. Theunderwing feathers are white with a black trailing edge. The wings below are blackish with white spots.Males and females look alike, but young birds are brown above and rufous colored below. Their large platform nests are built out of sticks and are about 3 meters in diameter.They are typically placed in the forks of large trees.The average clutch consists of one or two eggs.